When we started homeschooling, coming up on three years ago, our schedule looked decidedly different than it does now. We studied all the subjects, went to all the activities and loved it all. Then Amber became sick and it was hard to let go of our schedule, yet she could not keep it up. 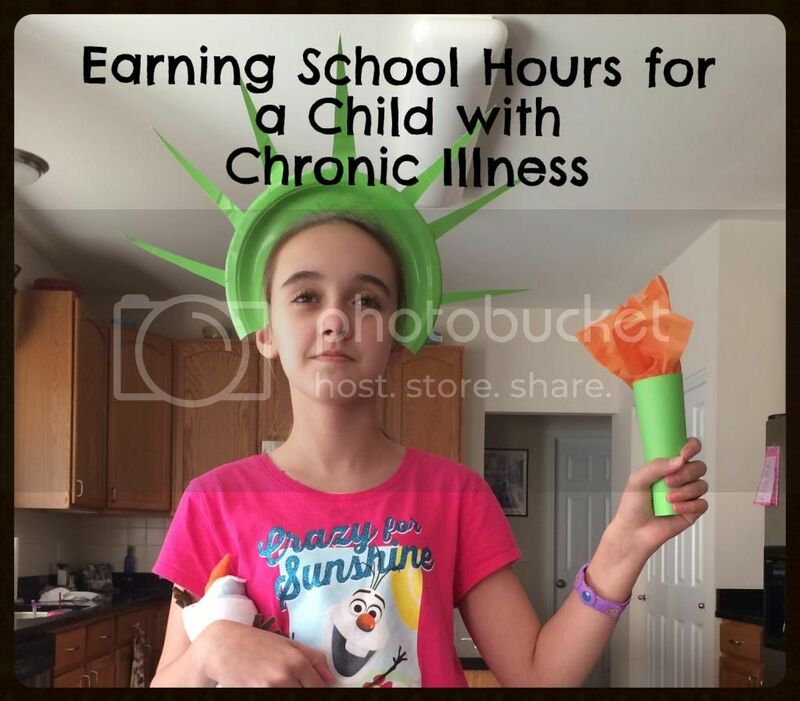 Now that we know she has a chronic illness (dysautonomia right now.. testing continues) we've learned to adapt her lesson time and to find school hours in more places than only sitting at her desk. 1. Reading. Amber still loves to read and even when she doesn't have the energy or mental power to work on regular lessons she can usually read fiction. Instead of allowing Amber to always choose which fiction books suite her fancy I give her historical fiction and literature books to read interspersed with her selections. For example: The Lantern Bearers, Augustine Came to Kent, The Door in the Wall, Saint George and the Dragon, and Sir Gawain and the Green Knight. 2. Videos. Some days Amber's brain fog is such that her reading comprehension is almost non-existent. I have already preselected items on Netflix, Amazon Prime and Youtube to correspond with our history, literature and science studies. When Amber can't read she watches the documentaries on the appropriate topics and we try to discuss what she saw. Sometimes she reads the same topic on a better day, but other times we allow the video to present the information. 3. Medical Visits. 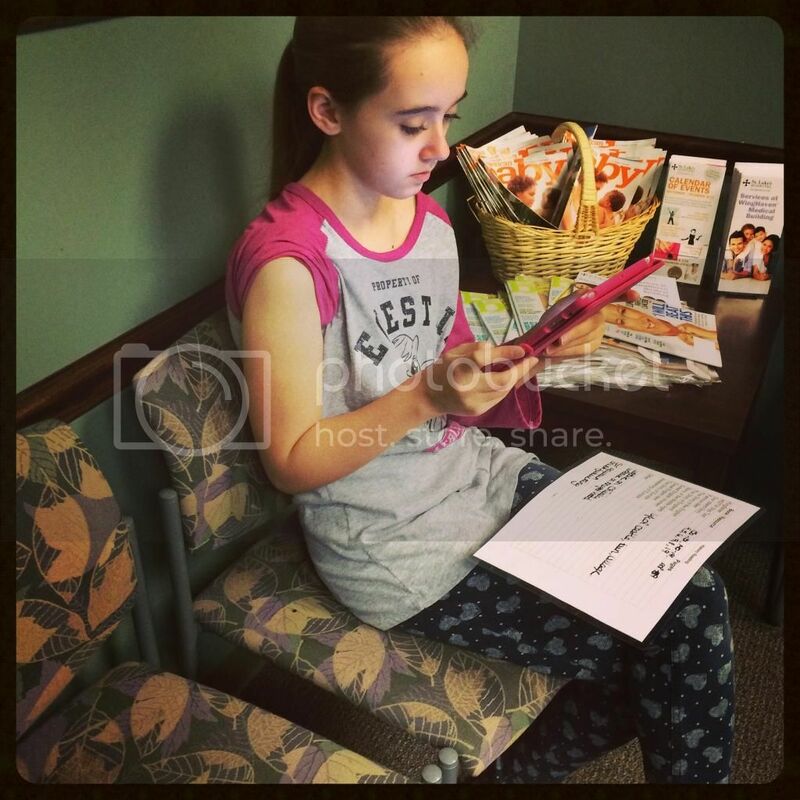 We make good use of the car rides to all of Amber's appointments and even the waiting room time. However, what about the time spent with the doctors and home discussions afterwards? After many people had commented on how knowledgeable and educated I am about Amber's condition, I realized that she is almost as knowledgeable and that learning took time. Even if it doesn't match our current science topic we count the hours that Amber spends learning about her own condition. 4. Projects. Previously we were not all that into projects, but favored more book style learning. This isn't always possible now and so we like to use projects from a wide array of sources to reinforce Amber's learning. We even work on the projects over the weekend or in the evenings as a family. 5. Prescribed Therapy & Fun Activities. Amber is entirely exercise intolerant at this point, however she needs to stay active to keep her heart conditioned. The doctor has prescribed a supine exercise regimen to achieve this goal. Even though it is doctor ordered and is nothing like standard P.E. classes, we count it for P.E. hours. We also count Amber's group activities like mini-golfing and bowling. They might not be strenuous for others, but they wipe Amber out for days. 6. Games. Amber absolutely adores chess and her chess tactics class at the homeschool co-op. I know she is definitely learning as much logic when working on the tactics as she ever did in our logic lessons with a book curriculum. There are many other learning games that also stretch and work the mind that can count for school hours. 7. Music. I've always counted Amber's music lessons as school time, but logging her practice times was a bit iffy in my book. Not anymore. 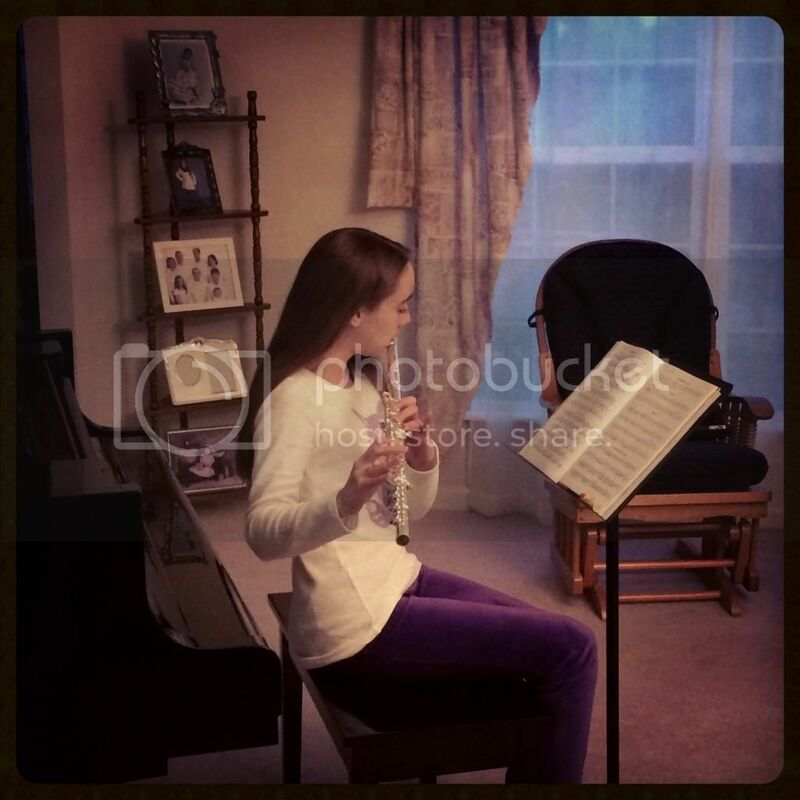 Yes she needs and greatly benefits from her flute instructor, but the majority of her learning comes from the practice times where she can really get into what was covered in her 45 minute lesson. We now count all music practices and performances as school hours. 8. Religious Instruction. It originally seemed almost like double dipping to consider confirmation classes at church as school hours. Yet we have no problem counting our religion study at home as school hours. Confirmation class even has homework to be completed. 9. Crafts. Ever since we started homeschooling Amber had taken art classes outside of our home. She loves to create. However once she became ill we had to reduce her schedule and art was deemed too strenuous. Amber still creates whenever she has a chance, especially during her relaxation time each evening. No matter if the project is knitting (or other yarn crafts), drawing, or even just making bracelets we count it as art time. 10. Helping. Amber is a kind child who lives to help others. She even helps me prepare for the classes I teach at our homeschool co-op. Almost every week it is she who makes the sample craft for my 50 states class. She even does some of the research for one of the states of the week, then providing me with a printout. There are numerous other ways for a chronically ill child or even healthy children to earn school hours without sitting at a desk. These are just a few of our favorites. Do you have any easy ways to earn hours too? You have it down pat. That is just how I have treated learning with my special needs children. They are learning all the time. I just have to figure out which subject it falls into. Sometimes I have to rely more heavily on this system than other times. However, I think they learn loads even when the learning seems less structured. Kids learn better when things are hands on anyway. This is awesome advice for others who may be wondering if they can and how to homeschool an ill child! You guys are getting more and more unschoolish in your homeschooling style! Funny how life changes things! I'm going to include this post in my What's the Word Wednesday post tomorrow! I really love this post. I'm currently in grad school studying education, and I love how flexible your definition of learning is. The desk only model of learning is really not beneficial for most students. Learning happens in so many different ways and in so many different places, that it really should all count.